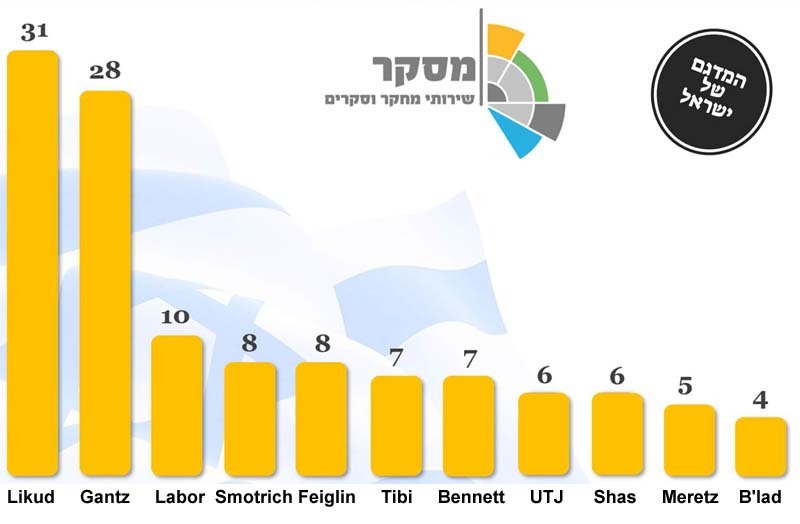 The Miskar Institute latest poll published on Thursday shows Israeli election trending strongly to the right, with Netanyahu’s Likud strongly ahead of Gantz’s Blue and White, Feiglin’s Zehut and Smotrich’s Right-Wing Union settling at 8 seats each, Bennett’s New Right at 7, the Arabs retreating to a combined 11, and Kahlon’s Kulanu disappearing below the threshold, as do Liberman and Orly Levy-Abekasis. The survey involved 4,500 respondents across Israeli society and was conducted between April 2 and 4 this week. Likud – 31 + Right-Wing Union – 8 + Zehut – 8 + New Right – 7 + United Torah Judaism – 6 + Shas – 6 = 66. This is a very strong, right-wing coalition, which should be able to function for 4 years. 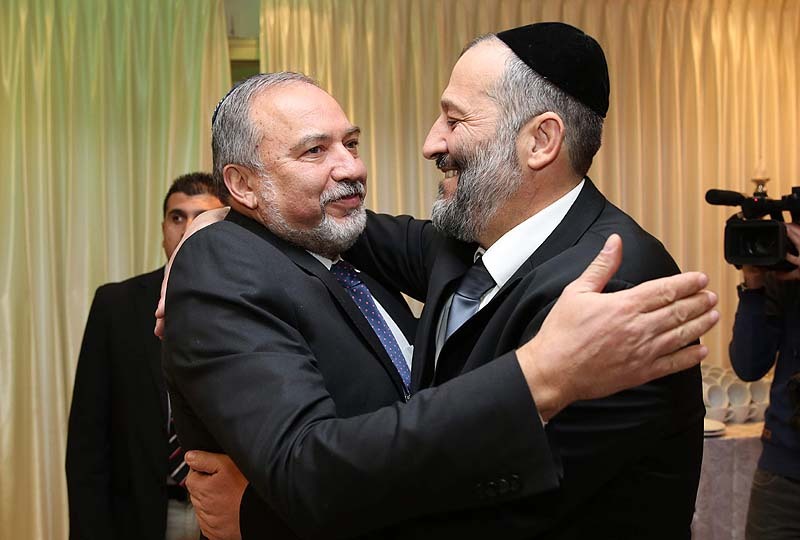 Everyone in this potential rightwing coalition will support without a problem an Israeli version of the “French Law,” which bans the criminal indictment of a serving executive, meaning that Netanyahu will not be facing any court problems for as long as he serves. For Feiglin supporters this is also very good news: Netanyahu will not be able to maintain his coalition without Zehut, and so will likely give in on Feiglin’s three demands: legalize cannabis and award Zehut the Finance and Education portfolio. Bennett, too, could walk away with his demands: the Defense and Justice portfolios. Also, Itamar Ben-Gvir could actually get his demand to head the Knesset committee that screens supreme court candidates. A Thursday evening Kan, Israel’s Public Broadcasting Corporation, poll also shows a strong pull forward for Netanyahu, giving him 31 seats compared with Gantz’s 30. Netanyahu ends up with a 64-seat coalition, in which Feiglin, with 6 seats, is still the deciding factor: no right-wing coalition without Zehut.